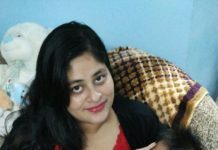 If you are facing problems like abnormal hair fall, baldness or hair loss and nothing is working for you then Nature Sure has made use of ancient formula for hair related problems. Jonk Oil can help you get rid of these problems as with regular application and use on the scalp, the hair fall reduces and it increases the hair growth. It is 100% pure Jonk oil that reduces hair problems in both men and women. Baldness and hair related problems mainly arise when the scalp has poor blood circulation. Pureblood consists of oxygen and ferritin, which is an iron-storing protein that accelerated hair growth and keeps away all the fungus and bacteria away from the scalp. Fungal infections cause problems like hair loss and dandruff. 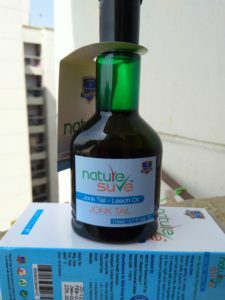 Nature Sure Jonk Oil is leech oil that is organically ready and has all the medicinal compounds and secretions, so that hair loss stops and new hair growth initiates. Leech oil has substances like Hirudin, Nitric acid, Histamine, Hyaluronidase, Thrombin, and Anti-collagen. The texture of the oil: This oil is not very heavy and has a consistency like coconut oil so spreads easily on the scalp. The color is slightly dark and the odor is quite strong that lingers on later. Directions for use: Pour the oil in a bowl and apply it thoroughly on the scalp and roots of hair before sleeping. Massage with fingertips for 15 minutes and leave it overnight. Wash with lukewarm water in the morning. Oil spreads easily on the scalp and is not very heavy. It has a pungent odor so might smell a little. Massaging your scalp can enhance the hair growth as blood rushes to the roots so that new follicles spout. After washing the hair next morning, hair feels bouncy and manageable with no hair fall or knots. 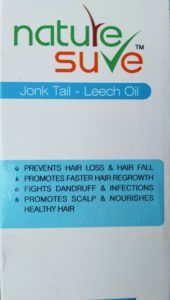 If you are facing severe hair fall, then Jonk oil can fight the hair fall. 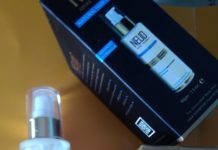 It stimulates regrowth of the hair and works well to enhance the growth with proper use. Nature Sure Jonk oil is high in quality as it is pure and organic. It is a miraculous therapy for problems like hair fall, hair loss, and other hair related problems. This leech oil is also great to cure baldness and alopecia. With regular use Jonk Oil, your scalp and hair follicles will be better nourished as blood circulation will increase in the area. This oil has anti-bacterial properties and fights dandruff and fungal infections. Final Verdict: I would recommend this product as it can help regrowth of hair in a natural way. It is easy to use oil that stimulates hair growth and fights hair infections and dandruff. Buy this oil today as you can get thick long and shiny hair with this formula.